Boils vs Herpes: Which One Do I Have? Outbreaks of boils and outbreaks of herpes can be very easy to confuse. Determining the difference between the two is crucial to understanding what treatment to seek. If you’re wondering how to tell the difference between the two, here are a few quick tips to help you out. In order to understand the difference between boils and herpes, it is important to learn what both of these things actually are. Boils are bacterial infections of hair follicles, Boils are also known as skin abscesses and are deeply formed pus capsules under the skin. Generally boils begin as a reddish, swollen, often sensitive spot on the skin. Over time, however, the boil becomes firm and more sensitive. The center of the boil fills with white blood cells that fight infection mixing with bacteria and proteins. This collection of blood cells, bacteria and proteins makes up pus which forms a head on the skin. Pus covered in tissue is under the skin is what makes up the boil or abscess. These must be surgically opened or they are in danger of suddenly bursting or draining out. Herpes, on the other hand, forms blisters that eventually turn into raw, open sores that can be highly contagious because they are actually caused by a virus. The blisters will develop a yellow tinged membrane that may occasionally ooze. The sores will last for anywhere from a couple of days to a couple of weeks. 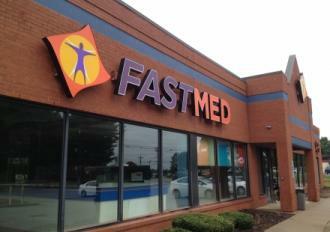 If you are looking for a fast and reliable diagnosis, look no further than FastMed. We offer a number of services in multiple clinics across North Carolina and Arizona, our team of medical professionals can diagnose and treat you, whether it turns out to be herpes, boils, or anything else.